A federal judge has blocked part of the state’s omnibus border security bill that makes harboring undocumented immigrants a state crime. In January the Mexican American Legal Defense and Educational Fund, or MALDEF, filed a lawsuit in Bexar County against Gov. 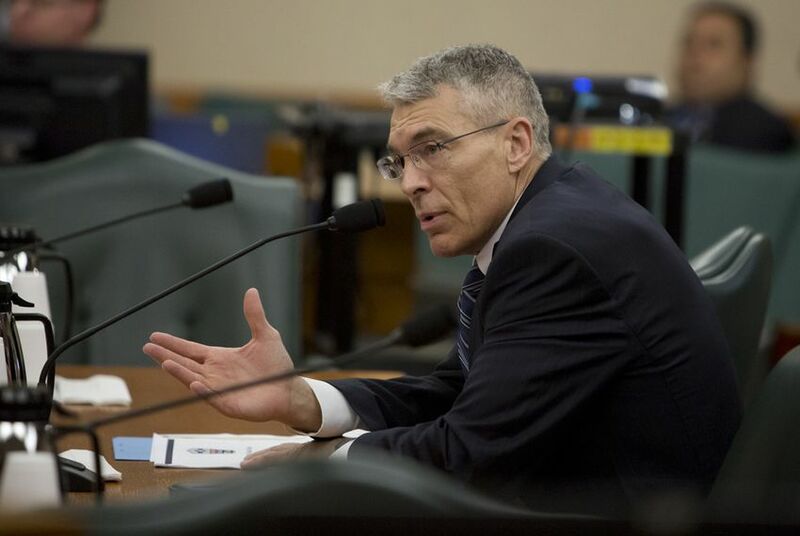 Greg Abbott, Texas Department of Public Safety Director Steve McCraw and the Texas Public Safety Commission, which oversees the DPS. The lawsuit alleges the state violated the U.S. Constitution’s Supremacy Clause because immigration enforcement is a federal responsibility. The lawsuit was filed on behalf of two San Antonio landlords, David Cruz and Valentin Reyes; and Jonathon Ryan, the director of an immigrant services agency. The plaintiffs said that under the bill’s provisions, they could be accused of the crime for providing shelter space or renting homes to undocumented immigrants. “What the plaintiffs said was, ‘We don’t want to be prosecuted under this law, we think it’s unconstitutional,’” said Nina Perales, MALDEF’s vice president of litigation. In an order signed on Thursday, federal District Judge David Alan Ezra said the plaintiffs would likely succeed on the Supremacy Clause claim and ruled that state and local officials had no authority to enforce the harboring provision until a final decision on the case is made. A spokeswoman for state Attorney General Ken Paxton said "we are disappointed in the ruling and evaluating our options." Although MALDEF was victorious on one front, the judge rejected the group’s claim that the bill violates the plaintiffs' right to due process and equal protection. Perales said the equal protection argument was made because the bill did not have a “rational purpose” and was arbitrary. But in his order, Ezra said that although HB 11 might be pre-empted, the harboring provision fits in with the state’s intended goal of securing its borders. “HB 11’s harboring provisions are rationally related to their stated purpose of ‘strengthen[ing] the state’s border security measures and help[ing to] stem the rising tide of human smuggling and human trafficking in Texas,’” he wrote. A timeline on when the case will resume is unclear, but attorneys with MALDEF appeared confident moving forward. The group had warned lawmakers last year the law was “enacted on dubious advice” because the harboring provision would not withstand a constitutional challenge.